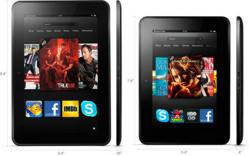 The Best Kindle To Date - Amazon Kindle Fire 8.9 HD Reviews - Kindle Fire 8.9 has emerged as one of the favorite tablets if reviews by the leading review sites are to be believed. Mingyaa, a renowned name in the field, confirmed the same. The latest offering from Kindle, the Kindle Fire 8.9 has been in the news lately due to some amazing features that sets the bar to a new level. Launched in the later part of preview year in the United States and in 2013 in a few other countries across the globe, the product is making waves and is certainly giving competitors a run for their money. According to the reports, the device is already selling more than some of the less expensive alternatives and there are quite a number of reasons behind the same. The device boasts of an 8.9” screen and weighs only 20 ounce. The product does not require any kind of software or computer for installation. The battery life is around 10 hours and storage options include 32 and 64 GB. The device also offers 3G and Wi-Fi connectivity. Some of the content formats that are supported include Kindle (AZW), KF8, TXT, PDF, unprotected MOBI, PRC natively, Audible Enhanced format (AAX), DOC, DOCX, JPEG, GIF, PNG, BMP, Dolby Digital (AC-3), Dolby Digital Plus (E-AC-3), non-DRM AAC, MP3, MIDI, PCM/WAVE, OGG, WAV, MP4, AAC LC/LTP, HE-AACv1, HE-AACv2, AMR-NB, AMR-WB, HTML5, CSS3, MP4, 3GP and VP8(.webm) among others.